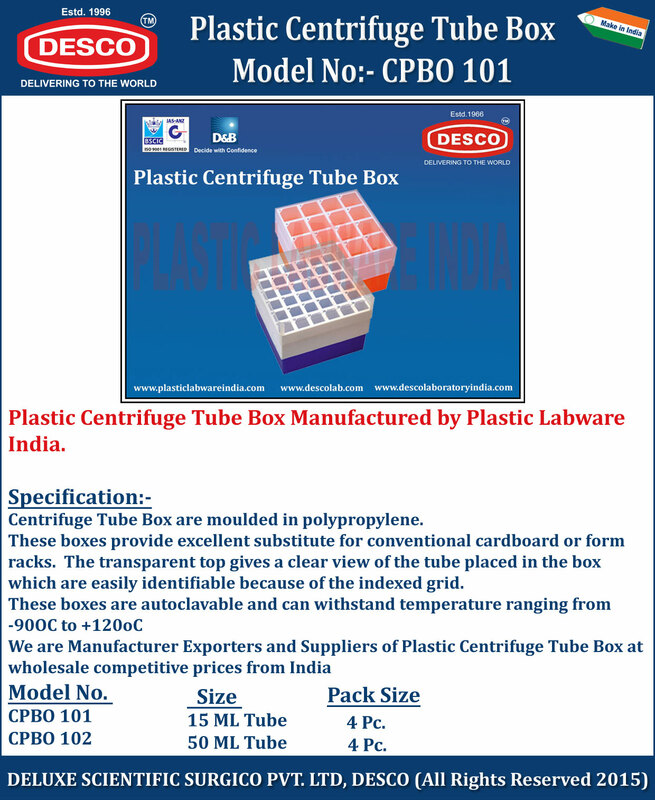 Centrifuge Tube Box are moulded in polypropylene. These boxes provide excellent substitute for conventional cardboard or form racks. The transparent top gives a clear view of the tube placed in the box which are easily identifiable because of the indexed grid. We are Manufacturer Exporters and Suppliers of Plastic Centrifuge Tube Box at wholesale competitive prices from India. CPBO 101 15 ML Tube 4 Pc. CPBO 102 50 ML Tube 4 Pc.